Connecticut instituted a Poor Law in the 17th century to comply with a directive from the British government that the colony ensure for the care of the poor within its borders. 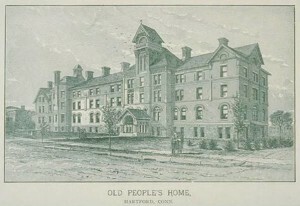 Connecticut’s poor law utilized the “town system,” which held every town responsible for the care of its own impoverished. Administering the law seemed relatively simple in those times, as early towns were small, isolated, and close-knit communities in which inhabitants knew one another well. Abundantly available work during this time also helped limit the amount of bureaucracy required to run the program from town to town. The key to the town system was accurate residency classification records. 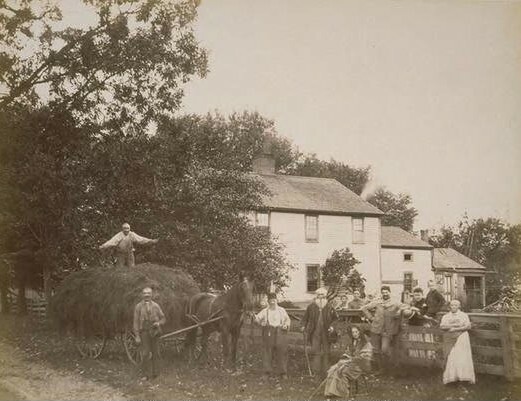 In the mid-1600s, no resident could increase the number of family members recorded in the town records without permission from the town’s other inhabitants. Strangers who entered the town often faced steep fines for not leaving in a timely fashion. Additionally, to keep residents gainfully employed, Connecticut passed a law in 1650 declaring that no person “shall spend his time idly or unprofitably, under pain of such punishment as the court shall think meet to inflict.” Those who received town aid and chose to frequent drinking establishments found themselves placed in stocks. By the start of the 18th century, the laws began evolving to meet the changing and increasingly diverse culture in Connecticut. For example, in 1702, a law mandated that owners provide for their servants or slaves and not just set them free to become burdens to the town in which they lived. Other changes during that century saw additions made to regulate the welfare of children born out of wedlock, the mentally and physically disabled, children of divorced parents, adopted children, and war veterans. The provision with perhaps the most long-lasting effect was one that mandated support from blood relatives be exhausted before applying for public aid. In 1715, the law dictated blood relatives be the primary care-givers for those with mental disabilities. In 1739, Connecticut expanded this mandate by making care the responsibility of the family regardless of the cause of need. This obligation fell on parents, children, grandparents, and grandchildren of the era. Later, the law extended to husbands as well. The 19th century brought increasingly complicated provisions as the state attempted to address numerous loopholes in the law brought about by an increasingly mobile population. With town almshouses now a regular part of life in Connecticut, a state board of charities emerged in 1873 to oversee the growing bureaucracy needed to enforce laws consistently and uniformly across the state. This meant addressing the arrival of immigrants, defining the amount of property one could own and still qualify for aid, and assigning responsibility for administering aid in cases where town boundaries changed. Stipulations requiring disclosure of the financial conditions of the applicants, establishing their town of birth, and determining in which town they may have become ill or disabled, all became of paramount importance. The next 50 years brought numerous changes to Connecticut’s treatment of the impoverished. By the start of the Great Depression, only 50 towns still operated almshouses. Citizens, recognizing the need for more specialized care, replaced almshouses with nursing homes and hospitals for the mentally ill. 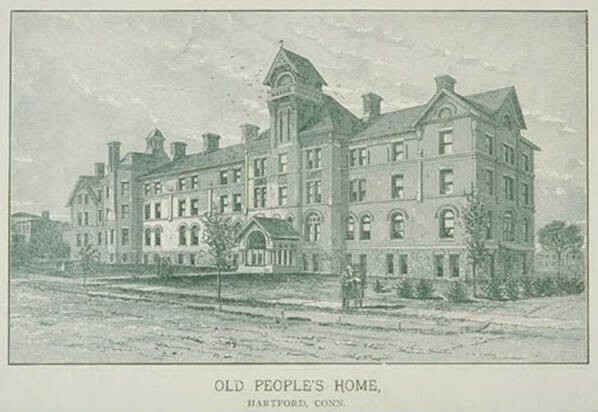 Between the start of 1935 and the end of 1936, Connecticut passed legislation providing pensions for persons over 65 years old and requiring towns to furnish relief to indigent persons within their borders regardless of where that person officially resided. If the town found the applicant had a residence in another town, it reached out to that town for reimbursement of aid expenses. This whole process became increasingly difficult to administer as the poor and unemployed traveled from town to town in search of work. The complicated regulations in place for caring for the poor in Connecticut forced the state to reevaluate its processes in 1948. The Hartford-based Community Surveys, Inc., provided the state with a report calling Connecticut’s system “Elizabethan” and counterproductive. The company’s research found that the state made assistance difficult to obtain, as well as unpopular. The Connecticut poor law allowed towns to place liens on real estate owned by the poor, who then owed that money to the towns. In addition, the system suffered from the use of under-trained welfare staff and a series of confusing and overlapping administrative responsibilities between town and state agencies. Finally, the state allowed welfare workers to contact spouses, parents, grandparents, children, or grandchildren of applicants without the applicants’ permission, causing friction within the families of those affected. The degree to which the law affected the family members of Connecticut’s poor became clear in a 1952 story run by the Hartford Courant. The story described a 65-year-old grandfather who was just months away from retiring when he received a letter from the state informing him of his legal obligation to pay $50 per month towards supporting his daughter whose husband left her for another woman. At the time, a failure to pay for the support of a relative included a penalty of up to 1 year in jail. A subsequent reevaluation of the Connecticut poor law in 1977 painted a picture of a system hopelessly out of touch with the demands of a post-industrial society. No longer did towns exist in isolation from each other, and residents rarely lived and worked in the same town as they did when the legislators passed the poor law 300 years earlier. In addition, residents now led increasingly private lives, unaware of the comings and goings of people in their towns. The town system ceased to function as a viable tool for administering aid to the state’s poor. Today, administering state aid remains a challenge in an era where the demands of the needy evolve so rapidly. Changes in bankruptcy laws, health insurance programs, and criteria for establishing rates of poverty continue to challenge lawmakers to address issues within the welfare system never dreamed of by the founders of Connecticut’s poor law three-and-a-half centuries ago. Mansfield. 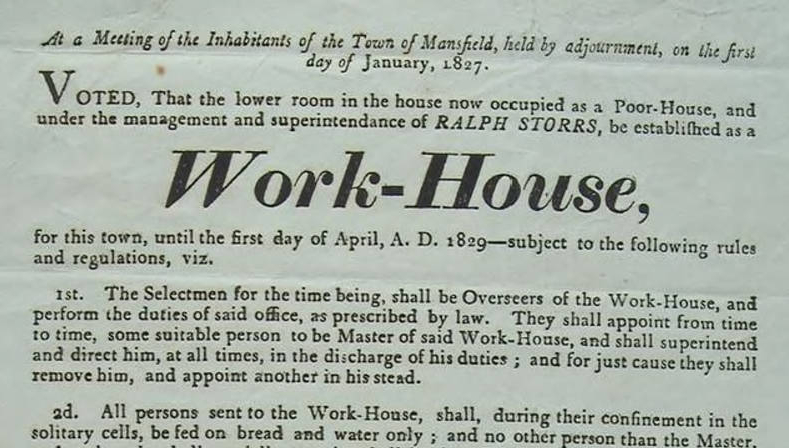 “Broadside - At a Meeting of the Inhabitants of the Town of Mansfield, Held by Adjournment, on the First Day of January, 1827. Voted, That the Lower Room in the House Now Occupied as a Poor-House...,” 1827. Connecticut History Online, Connecticut Historical Society. Link. Wethersfield, Selectmen. “Broadside - Bye Laws for the Regulation of the Alms and Work House of the Town of Wethersfield,” ca 1811. Connecticut Historical Society. Link. Capen, Edward Warren. The Historical Development of the Poor Law of Connecticut. New York; London: Columbia University Press, 1905. Link.